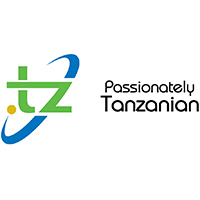 Tanzania Network Information Centre (tzNIC) is a Company responsible with management and administration of dot tz country code Top Level Domain names (.tz ccTLD). Dot tz is the ISO 3166-1 code representation for Tanzania in cyberspace and is among the Country's communication resources. The Marketing & PR Manager is responsible for generating and managing all brand communications and public messaging on behalf of tzNIC. He/ She is the positive voice of the organisation and must constantly represent the centre as a brand ambassador ensuring opportunities for positive brand building are effectively capitalised on and that there is high awareness and positive engagement between the tzNIC and the community enhanced by strategic PR opportunities and initiatives. Any other duties prescribed by the CEO in accordance with company policy. Proven track record in managing successful brand and marketing campaigns for reputable organisations. Must have at least 3 years' direct brand, marketing and PR experience with a track record of developing effective marketing strategies. Minimum of three (3) years legal work experience in a reputable organisation. Masters Degree or being an Advocate of the High Court of Tanzania will be an added advantage. Proactive and self-starting with ability to work unsupervised or with minimum supervision. Achievement and result oriented team player .